Washington, Sept. 15 – RespectAbility, a nonprofit organization working to empower people with disabilities to achieve the American dream, has asked Senate candidates on both sides of the aisle to fill out a questionnaire on disability issues. 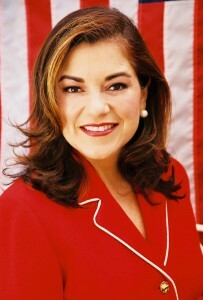 Democrat Rep. Loretta Sanchez completed the #PwDsVote Disability Campaign Questionnaire for Senate and Gubernatorial Candidates for people with disabilities. California has 5.9 million eligible voters with a disability, and they are looking to know where the candidates stand on important disability issues in order to increase opportunities for competitive, integrated employment for people with disabilities. Currently, California ranks 34th out of the 50 states in regards to the labor force participation rate of people with disabilities, which currently stands at just 33.3 percent (compared to 71 percent of people without disabilities). In other states, such as the Dakotas, 50 percent of their populations with a disability are successfully employed. There are more than 115,000 youth with disabilities in California, and each year more than a quarter of them will age out of school into an uncertain future. Alternatively, many of the state’s baby boomers will be aging out of the workforce, leaving many positions open and unfilled. This change in demographics, paired with the increasing demand in sectors such as accommodation and agriculture create even more openings in the work force that need to be filled. California has the opportunity to lead by example by including more people with disabilities in the workforce thanks to The Workforce Innovation and Opportunity Act (WIOA). As the largest state in terms of population and economy, many other U.S. states look to California for guidance. WIOA gives California the opportunity to set the stage for all other participants and show that people with disabilities can be a valuable asset to any employer. However, the gap in the labor force participation between people with and without disabilities is 38.9 percent. This lack of employment for people with disabilities creates poverty, powerlessness and poor health. Polls and studies show that people with disabilities want the opportunity to have the dignity and independence that jobs provide. RespectAbility also sent the questionnaire to the campaign of Democrat Atty. Gen. Kamala Harris, who also is seeking the United States Senate seat in California. We will post Harris’ response when we receive it. We are presenting Sanchez’s answers in full below. ANSWER: YES. I have dedicated staff in Washington D.C., and in my home district of Orange County, California that handle disability issues. This staff keeps me regularly briefed on current national and local issues facing the disabled community. ANSWER: YES. My campaign is committed to being accessible and inclusive to people with disabilities. My offices are ADA accessible and disability issues are addressed by my staff, many of whom can draw from their own personal experience with disability, to ensure the campaign is as inclusive as possible and fully utilizes everyone’s talents. ANSWER: YES. Since being elected to the United States Congress almost 20 years ago, I have strongly supported the American’s with Disabilities Act (ADA), and voted in favor of the 2008 amendments to increase the scope of those covered under the ADA. I am the only candidate with a proven voting record improving the lives of people with disabilities and will continue to stand up for people with disabilities in the U.S. Senate. ANSWER: YES. No American should be discriminated against because of a physical or mental disability. Our laws should reflect this, and I will continue to fight for the rights of disabled Americans as a U.S. Senator. To truly create an equitable world, we must eradicate the social stigma against people with disabilities. Disability rights are human rights. ANSWER: YES. Over my twenty years in Congress, I have made it a priority to ensure people with disabilities can find meaningful employment. In the U.S. Senate, I will continue to support programs funded under the Workplace Innovation Opportunity Act (WIOA) which promote coordination of special education through the Individuals with Disabilities Act (IDEA). I also support programs under WIOA which allocates money toward federal employment services for youth. Starting a small business should be an option for all people, including those with disabilities. Entrepreneurship is an excellent way to provide flexibility in work schedules and economic mobility. I am a strong supporter of the American’s with Disabilities Act, and voted to pass amendments which expanded the scope of the Act. ANSWER: YES. I am a strong supporter of the Every Student Succeeds Act (ESSA). Although not perfect, ESSA takes great strides to level the playing field for historically marginalized communities, including those with disabilities. By implementing challenging but reachable standards for disabled students, and including student performance in school accountability reports, ESSA improves upon the outdated policies of No Child Left Behind. Individualized Education Plans (IEP) are a proven method to ensure our students with disabilities have the guidance they need to academically succeed and become prepared for the workforce. ANSWER: YES. I plan to continue the positive work done by the Affordable Care Act to expand health coverage to all people. Because Medicaid benefits can be lost if disabled individuals pass the asset and income threshold, some opt not to see increased employment to avoid the loss of crucial healthcare. There are also issues with lapses in coverage if people with disabilities change employers or coverage. When elected to the Senate, I plan to work with my colleagues to tackle both of these issues by ensuring benefits are not taken away due to income or change of coverage. ANSWER: YES. I proudly supported the passage of the Affordable Care Act and applaud its work to ensure that all Americans have access to health insurance. Those with disabilities cannot be excluded from our world class health care system, and I will fight to ensure that pre-existing conditions are not a barrier to sustaining health. ANSWER: YES. I understand the shortage of community-based workers for people with disabilities and our elderly. Personal care assistants are the crucial link to helping those wanting to stay in their homes. Unfortunately, many who rely on these assistants worry their eligibility will be taken away if they find employment. When elected to the Senate, I plan to work to lift this cap so those with disabilities do not have to choose between employment and personal care assistants. ANSWER: YES. The treatment of people with disabilities in the corrections system is a grave problem and one I want to address in the U.S. Senate. We must increase federal funding for prevention and advocacy networks for corrections-based monitoring and advocacy. We also must require facilities to help eligible inmates qualify for Supplemental Security Income, Social Security Disability Insurance, Medicaid, and Medicare before they are released. Making these benefits available to qualifying releases is critical to their successful reintegration. Finally, I support oversight over the Department of Justice to ensure that it is aggressively investigating violations of the ADA’s promises of non-discriminatory treatment and equal opportunity to inmates. ANSWER: YES. As a Senator, I will support oversight efforts in Congress to ensure that the Office for Victims of Crime works cooperatively with State Crime Victim Assistance and Compensation Programs to identify issues and service gaps related to the health needs of crime victims with disabilities. I will also ensure that the National Center on Criminal Justice and Disability remains well funded to continue its mission to educate and train criminal justice personnel on challenges faced by people with disabilities. ANSWER: YES. As a staunch advocate for sexual assault survivors, the Americans with Disabilities Act, and robust IDEA funding, I am committed to fight for quality protections for children and adults with disabilities. Throughout my tenure in Congress, I have worked diligently to ensure the voices and lived experiences of disabled Americans are heard and that we work together to reform, improve, and expand legislation to better ensure that all disabled Americans, regardless of background or zip code, are protected from discrimination and abuse. I have continuously put robust funding for the Individuals with Disabilities Education Act (IDEA) as one of my top priorities within the appropriations process because I firmly believe that all students with disabilities receive a quality education with the resources and protections they deserve. Moreover, as co-founder of the Women in the Military Caucus, I have been part of the long fight to not only stamp out sexual assault in the military but in all our public institutions. As Senator, I vow to continue to put these priorities at the forefront of my policy agenda. As sexual assault cases become more and more prevalent in the public eye, I will remain firm in working with my colleagues within and across party lines to expand legislation that will put in place further protections for sexual assault survivors with disabilities. We need to ensure that children with disabilities are not placed in environments where their safety would be compromised. I believe expanding funding/grants for programs for disabled children and ensuring our public schools have programs available are also important. Leadership is key when establishing the climate of a certain place or organization. Leadership must make discrimination unacceptable and emphasize that all humans deserve respect and protection. I believe my 20 years of experience in combating sexual assault and protecting our most vulnerable communities serves as a complementary example of my commitment to this issue. ANSWER: YES. As a senior member of the House Armed Services, I have worked hard to not only ensure our servicemen and servicewomen are well-equipped and trained while in the military, but have also focused on the quality of life for our veterans especially during transition. Particularly following the wars in Iraq and Afghanistan, service members were not only transitioning into the civilian world with physical disabilities but also mental health disorders such as Post Traumatic Stress Disorder and Traumatic Brain Injuries. We found that these mental disorders were hampering essentially disabling these young men and women from finding employment. I believe we must continue to provide effective mental health screening before service members are discharged from the military in order to not only identify these mental illnesses early but to ensure they are provided the health assistance they need. I will continue to work to ensure the Department of Veterans Affairs are funded to provide the best medical services on a timely manner to those who are disabled. It is imperative that we provide the necessary resources for veterans with disabilities. Continuing to set up programs through government where priority is given to disabled veterans is also extremely vital. ANSWER: YES. First, I do not support policies which seek to take people with disabilities away from their homes and communities, and thus do not support clustered home models through non provider owned housing. Unfortunately, due to the rising costs of rent, access to affordable housing is becoming sparse. This should not be the case. I support policies which promote fair housing for people with disabilities, and protects their rights from discriminatory actions. I also support programs such as Section 204 of the Rehabilitation Act, which prioritizes a percentage of new developments for individuals with disabilities and requires reasonable accessibility accommodations. ANSWER: YES. As a conferee for the reauthorization of the FAST Act, I worked across the aisle and helped negotiate the first long-term funding for transportation infrastructure in over ten years. The reauthorization contained funding for the Enhanced Mobility of Seniors and Individuals with Disabilities Program, which helps to break transportation barriers and aid in increased mobility. When elected to the Senate, I plan to continue my support of these types of programs. ANSWER: YES. Unfortunately, individuals with disabilities are less likely to use technology or the internet than adults without disabilities. When elected to the Senate, I will work with my colleagues to ensure that technology is accessible to individuals with disabilities, as well as promote the use of technology to aid independent living. ANSWER: YES. Throughout my Congressional career, I have stood up for the most vulnerable around the world. Whether it was protecting the refugees in the Middle East or standing up for prisoners of conscience in Asia, I have spoken loudly against discrimination and oppression. As a country that prides itself on being the beacon of freedom and opportunity, we cannot stand for any type of discrimination at home or abroad. As U.S. Senator, I will continue to make sure that this great country continues to be a leader on disability rights law, and pushes to repeal laws or policies that discriminate against people with disabilities at home and abroad.